New design. Higher performance. Attractive pricing. The new, economical Saferoller® V3 is loaded with innovative features. 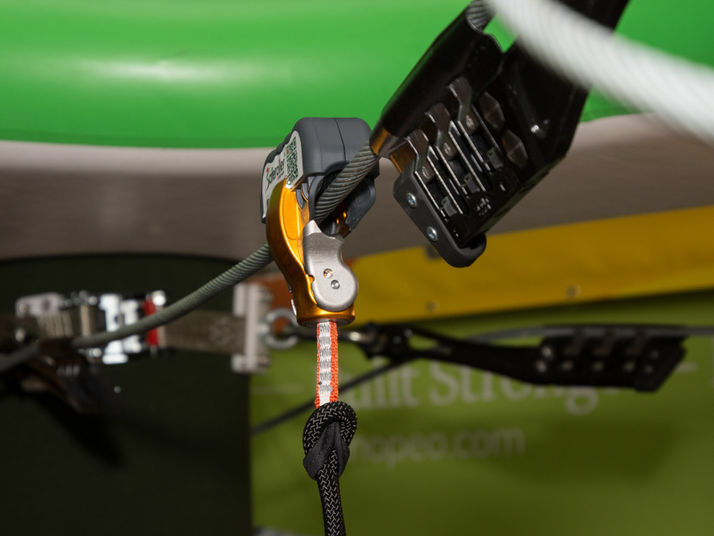 Introducing the new Dyneema/Nylon blend strap with 360° swivel system. With a higher center of gravity, weight is transferred directly to the trolley. The new double-lock evacuation system is foolproof. 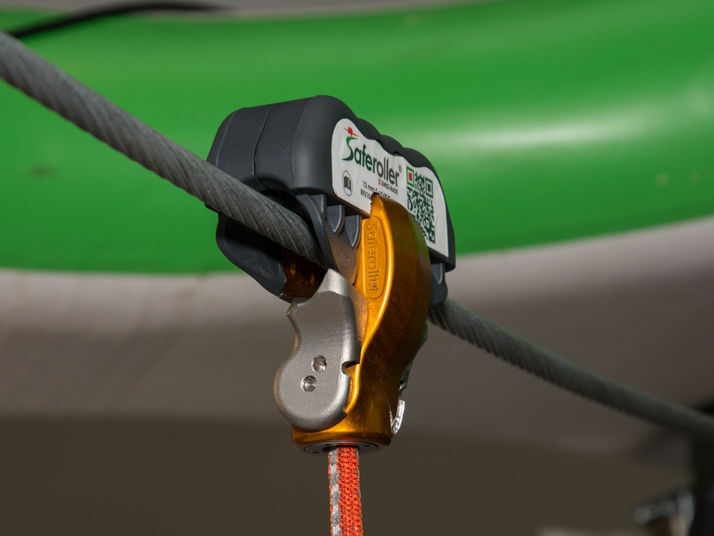 It allows for safe and quick removal from the safety line in case of emergency evacuation and quick re-connection. The connection device anchor is hot forged for increased strength and durability. Individual identification numbers have improved readability. And best of all, it is 30% more compact. Effortless, precise handling makes tight curves a breeze. You are secured from end-to-end and no additional connecting devices are required. 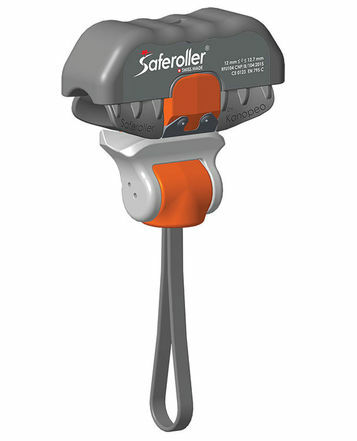 Saferoller® V3 is a low maintenance system. Wearable parts are equipped with wear protection and can be replaced by the operator. For use with Zip Lines up to 120m. 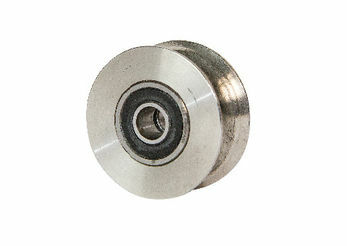 These silent, lightweight Rollers are produced with peerless “twin” ABEC rated sealed ball bearing sets in each roller. Teflon dramatically reduces wear and tear on the wire rope. Peerless “twin” ABEC rated sealed ball bearing sets in each roller. For use with Zip Lines of any length. 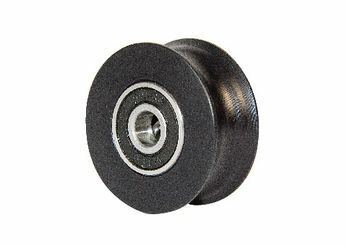 These durable, lightweight Rollers are produced with peerless “twin” ABEC rated sealed ball bearing sets in each roller. Designed for high-speed rolling up to 125km/h!